Sergi brings 20 years’ commercial research experience. Grown within the tourism industry, his company’s roots lie in the regional tourist boards. From need assessment studies to the latest tourism stats and economic impact evaluations, Sergi can help rural businesses planning to diversify into tourism. 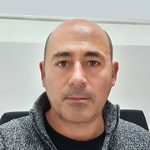 Sergi Jarques uses a nationally recognised and independently validated model for appraising the economic impact of tourism developments, capital investments and grant funding applications. His Site Development Assessments are an analysis of market need and current demand of a proposed tourism development based on the latest planning policy, personalized views of local tourism experts and market intelligence. Measure funding additionality (degree to which a project would be changed without agency funding). Policy and Economic Impact – compliance with local and regional planning policies.